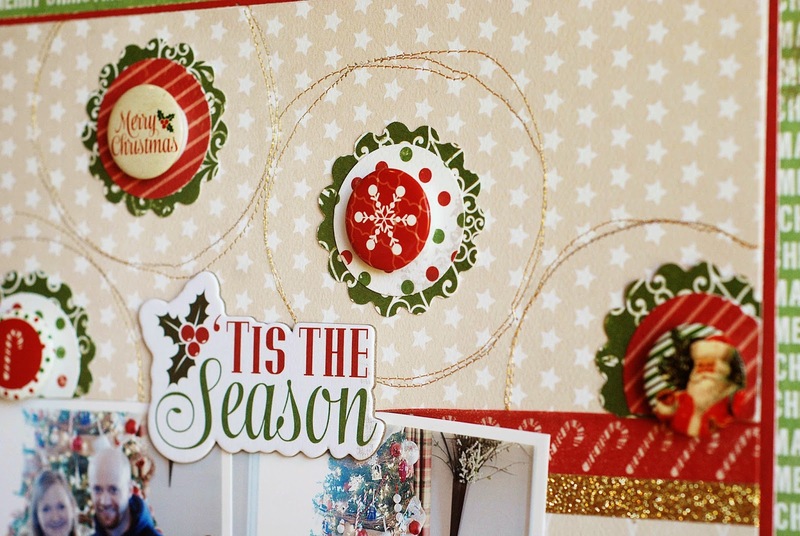 If you're looking for the TRUE SCRAP 6 Giveaway please click HERE. Hello there! 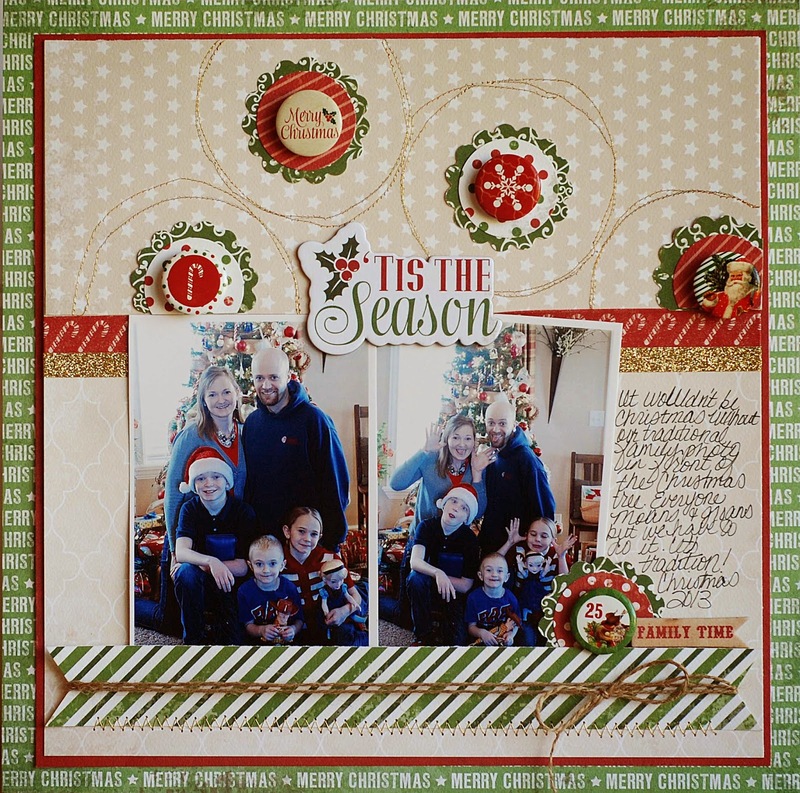 I'm excited to share with you a layout that I created with the "Christmas Time" collection from Carta Bella paper company. When I got this collection I loved how traditional it was. It's the perfect good, old fashioned Christmas collection. 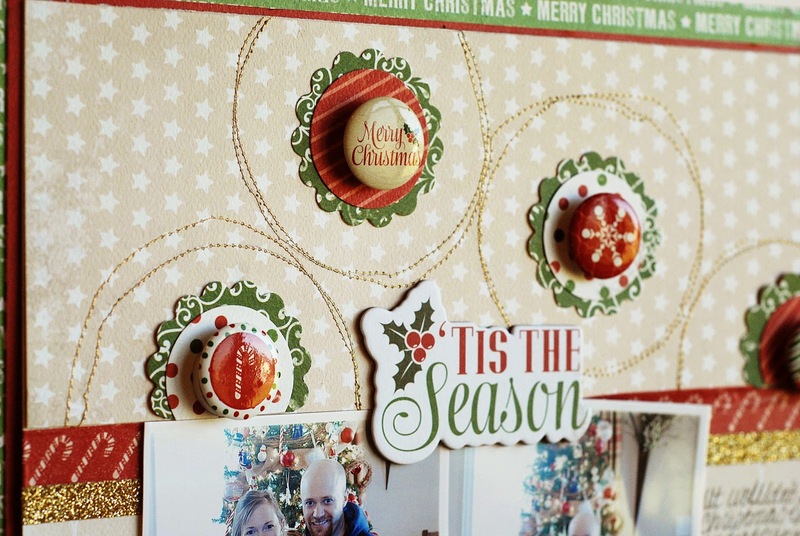 At the top of this layout I created a fun element with a few pieces of flair that go along with the collection. I also tried something new with my sewing machine, I stitched with gold thread. I tried to stitch perfect circles...ha ha. That didn't work so I just went with the wonky stitching and stitched around each piece of flair a few times. I think it added a lot of fun texture and interest to this project. In the end I liked how the wonky circles added a bit of whimsy to the layout, I think it goes well with the silly photo on the right side of the layout. What mistakes have you made on your projects that you ended up liking/loving/or even repeating? Sometimes is the imperfect projects that become my favorites.